Nine reasons to end the conflict and settle your divorce without going to divorce court. Half of the people that go to divorce court lose. In every case, there is a winner and a loser. And winning isn't dependent on how you behaved in the marriage or, how you've behaved since your separation. Winning and losing in divorce court can depend on a lot of variables. The first being how good your attorney is and, good attorneys cost a lot of money. In other words, your more likely to win in divorce court if you have the most money to spend. And, even if you win, you may lose, because of divorce attorney fees and other costs such as the lasting acrimony and damage that a trial can cause. Divorce court involves enormous expense, time, and uncertainty. You have to take time off from work to go to court. Lawyers and expert witnesses may cost thousands of dollars. You are spending your kid’s college money when dismantling a marriage can be less complicated and less expensive is you negotiate your own settlement with a mediator instead of going to court. The system is slow. It takes a long time to get to trial and the judges do not always rule at the end of the case. They may take a case under advisement at the end of the trial, which means they want to think about it. Then you may not get the result for weeks or months. And then there are the appeals. Throughout this entire process, you will be paying your lawyer fees for his/her time. Psychologists, psychiatrists, and social workers are trained in human behavior. Many mental health professionals have expertise in custody evaluations. Judges, on the other hand, are lawyers who have no training in handling the emotions that come up during divorce court. If you are going to put, the best interest of your family, in the hands of a stranger, don't you want that stranger to be trained in the emotional aspects of dismantling your family? Judges are strangers to your life and marriage and they are called upon to make a decision after hearing only a few hours or a few days of testimony about a marriage that may have lasted for years. Do you really want a stranger deciding how your assets are divided or how often you see your child? There is no truth detector at the judge’s bench. The courthouse is not a fairness store. It is a decision store. One party wins and one party loses. Judges and lawyers are only human, they are not perfect, and the winning party is not always the deserving or honest party. You may think you want, "your day in court" but, that day may not turn out in your best interest regardless of how fair you play. 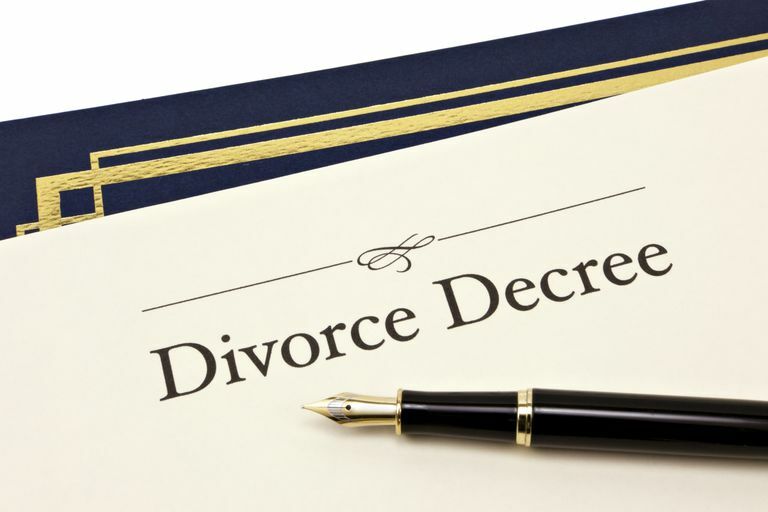 They are limited by legal procedures which define how they rule in divorce cases. Privately negotiated divorce agreements between the parties are not limited by existing divorce laws. You can be much more creative than the judge can and, at the end of the day more fair to all involved if you are willing to negotiate and compromise. Judges are only human and they make mistakes. We pay them to make decisions, and resolve disputes, not to be all knowing. Sometimes they make the wrong decisions and when they do, you pay the consequences. Do not think because you are right, that you will win. And, when a judge makes a mistake in your case you have no legal recourse against that judge other than to appeal the judge's orders. When that happens it cost a lot of money and time to make right a mistake made by a judge. Divorce trials can be very destructive to relationships. Children are put in the middle if there is a custody dispute. After the trial, you still have years to raise children with their mother/father. You may have won the battle but lost the war if fighting it out in divorce court causes an escalation in conflict between you and your ex.